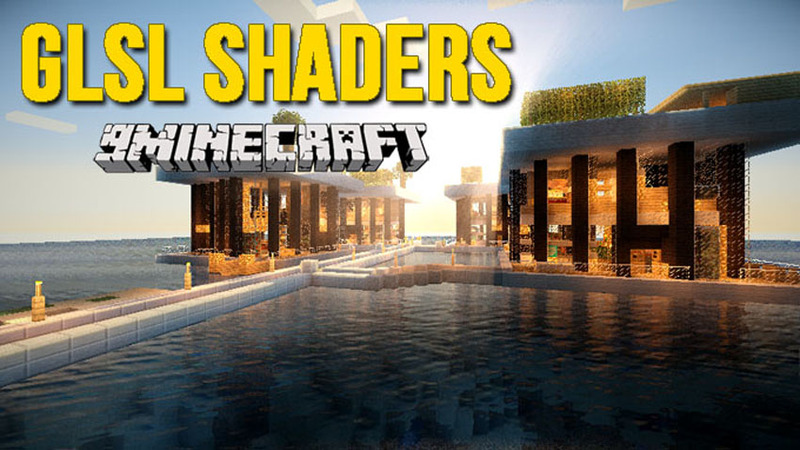 GLSL Shaders Mod 1.13.2/1.12.2 adds shaders to Minecraft and add multiple draw buffers, shadow map, normal map, specular map. These things can be used to change appearance of Minecraft world. How it looks depends on selected shaderpack and some user settings. The GLSL shaders mod is very GPU intensive, and requires a very decent computer to run it well. It is advised that the user be smart when choosing to install, and use this mod. A large amount of FPS (Frame-Rate per second) will be used in the entire process of using the mod. Support connected resource (texture) packs. Support multiple composite programs (compostire1, composite2, composite3). Shader packs such Sonic Ether’s Unbelievable Shaders, CUDA Shaders, Waving Plants Shaders, RudoPlays Shaders, Chocapic13 Shaders, Bump Shadow waving are supported. Minecraft Forge and OptiFine compatibility. Easy installation without any hassle. New variables sent from java code to shaders. Shaders can select draw buffers to write to. More depth buffers and shadow depth buffers. Intel HD Graphics drivers *.3412 to *.3621 do not work and will crash. Graphics effects do not come out of nowhere. They require computing power of both CPU and GPU. Some shaderpacks render around 10 times slower than vanilla Minecraft. You can expect low frame rate if your computer cannot get more than 200 FPS from vanilla Minecraft. Sp614x has merged Shaders Mod’s feature into OptiFine HD.